Brian Connolly, Independent, has been returned as the successful candidate for Electoral Ward 27 (North Carrick and Maybole East) in a by-election which took place to fill a vacant seat on South Ayrshire Council. 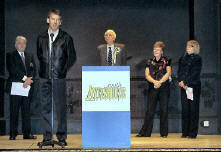 Full story and photos here. INDEPENDENT candidate Brian Connolly was elected to South Ayrshire Council by a single vote after a series of tense recounts in the Maybole by-election. 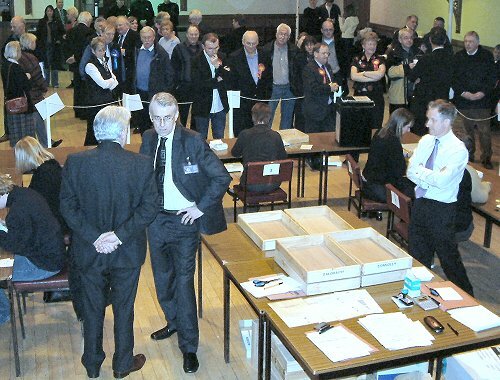 One vote separated newly elected Councillor Connolly from Conservative candidate Ann Galbraith after the fourth time of counting in Maybole Town Hall on Thursday night. After the initial count then three recounts Councillor Connolly remained ahead of Ann Galbraith for the Tories with 408 votes to 407. After the result was formally announced Councillor for North Carrick and Maybole East Brian Connolly said: "I am absolutely delighted to be chosen to represent this ward and I will represent the people to the best of my abilities." 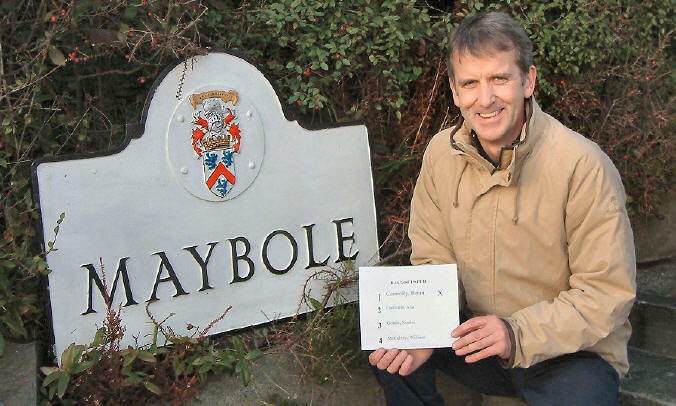 Councillor Connolly went on to tell the Gazette: "It is a tremendous honour to be selected by the people of Maybole and a real thrill in such a close contest. "Considering the size of the party machines that backed the other candidates it is just incredible." Mr Connolly said he would not be swayed by party loyalty but would do what was best for the people of Maybole and of South Ayrshire. "I will do what I can for the good of the ward," he said. Tory candidate Ann Galbraith said it had been a "great, clean campaign and a remarkable result". 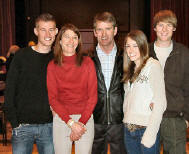 She said she was delighted with the showing for her party adding: "I look forward to trying again next year." The Tories retain their majority at South Ayrshire Council with 15 councillors to Labour's 14, now with one Independent. Labour candidate Sandra Goldie was also looking to the future. She said: "It is a disappointment for us but it is only temporary disappointment and we will come back for the next election." SNP candidate Bill McCubbin thanked people for the support he had received and also paid tribute to former Councillor Andy Hill. He issued a note of caution to the Council saying that the issue of accident and emergency services had been raised most often by people during the campaign. He said: "The people are against the closure of Ayr Hospital's A&E unit and I would advise that the Scottish Executive are made aware of this." 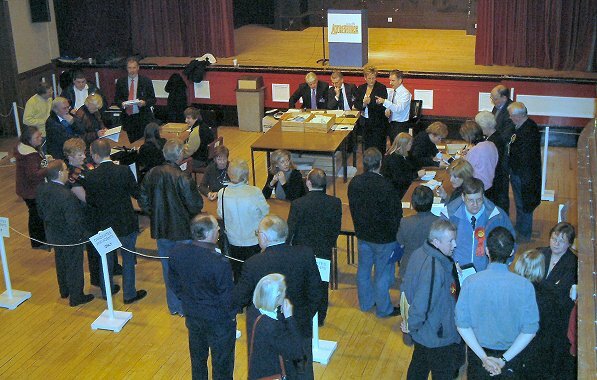 The by-election was held to fill a vacancy on South Ayrshire Council which followed the resignation of Councillor Andy Hill, who was elected to the Maybole ward in 1995. The by-election result means that the political composition of South Ayrshire Council is now: Conservative members 15, Labour members 14, Independent 1. An independent candidate last night beat off challenges from both Conservative and Labour to win a by-election in Scotland's only Tory-controlled council by a single vote. 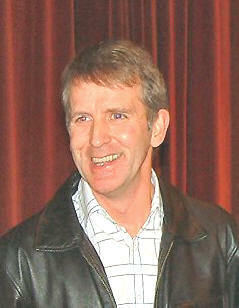 Brian Connolly triumphed after three recounts, in a victory which could ensure the Conservatives retain power in South Ayrshire until the next elections in 2007. In a night of political drama at the count in Maybole town hall, Mr Connolly, a local trader, edged out the Tory candidate, Ann Galbraith, by 408 votes to 407, and left Labour's Sandra Goldie trailing in third place, 66 votes behind. The ward, North Carrick and Maybole East, was previously held by Labour, but Andy Hill, Labour's council leader, resigned in November to let the Tories use their temporary majority to oust Labour from key posts and form control of the administration. Labour's failure to keep the seat, and its slump to third, will be seen as a humiliating blow, and there was little comfort either for the SNP, whose candidate, William McCubbin, came a distant fourth. Yesterday's turnout was 51%, an unusually high figure for a local by-election. The result means the political make-up of South Ayrshire is: Conservative 15, Labour 14, Independent 1. Mr Connolly, 46, a father of three who runs three businesses in Maybole and has lived there all his life, is an engineering graduate from Strathclyde University who spent 19 years in the RAF. He said last night: "My objective was to give the locals a choice of a local representative, because two of the other three candidates were not from Maybole. I'll vote for what's best for my ward and for South Ayrshire on each occasion. I won't guarantee allegiance to any party." South Ayrshire is the only council to be controlled by Conservatives since the Tories reorganised local government in the 1990s. It faces a £20m shortfall, with a delay in setting its council tax until March 9. In the 2003 elections, the split was 15-15 between Labour and Tory and the former gained control by the cut of a pack of cards. Now, Labour has to wait six months before it can hope to regain control – and only if it persuades Mr Connolly to side with it. Tories hang on to council control The by-election win gives the Conservatives a casting vote The Conservatives have retained control of their only Scottish local authority after a closely fought by-election. 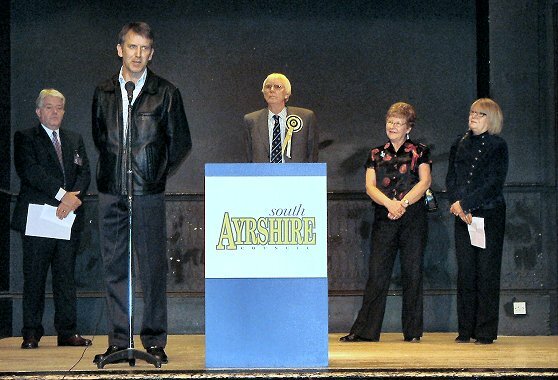 The Tories took control of South Ayrshire Council in November when the leader of the Labour group resigned. A by-election in the North Carrick and Maybole East ward was won by the independent candidate Brian Connolly by a single vote after three recounts. The Tories, who have 15 councillors to Labour's 14, came second with Labour third and the SNP fourth. The Conservatives had won the posts of council leader and deputy leader and control of all but one of the committees in December. They then moved to consolidate their hold by unseating provost Gordon Mackenzie and his deputy George Watson. This gives the Conservatives a casting vote at council meetings. The minority Labour group had sought a court order to prevent the council changing its standing orders to dump the provost. South Ayrshire is the only local authority in Scotland under Tory control although they have partial control in Aberdeen and the Borders.